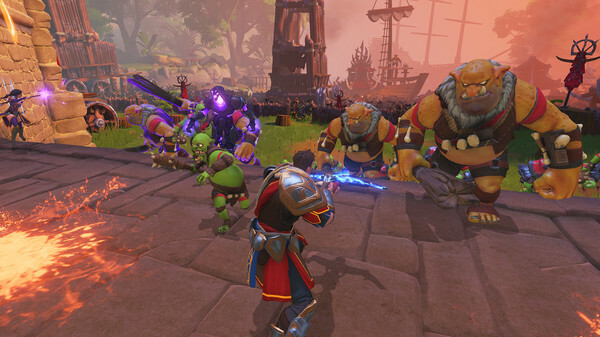 The Orc Revolution update released today for Orcs Must Die! Unchained, Robot Entertainment‘s action tower defense title currently in open beta. Among the changes are the introduction of Bionka, “Queen Momma” of the orc hordes, as a playable character and a Guild system that goes hand-in-hand with a new Refer-a-Friend program. Nobody holds back a mother out on a mission for her children. When that mother takes the form of a giant orc swinging a proportionately large mace through the air, nobody should even get near. Bionka charges down the path that others before her have cleared, bringing her damage-reducing orc lullaby and “Bionka Bounce” ability into the fray and giving tough love a new, much greener, face. The Orc Revolution also offers players the choice to participate in a new guild system. As players fight alongside guildmates, they will earn guild points and unlock rewards that the whole guild is then welcome to. Participating in other guild activities such as chatting and tracking friends on guild leaderboards earns players extra guild points. With all the talk of family and camaraderie, players only face the question of how to get their real-world friends in on the orc action. 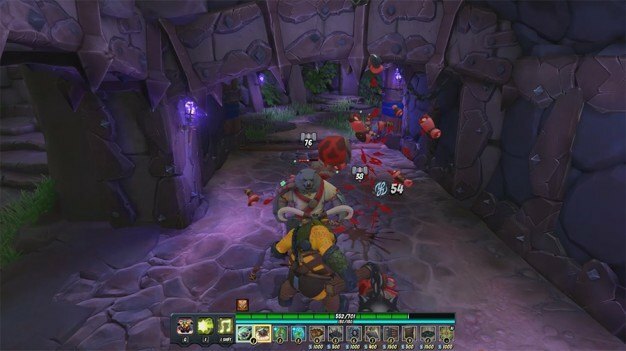 Robot Entertainment will reward friends who connect through Orcs Must Die! Unchained by initiating a new Refer-a-Friend program that rewards both players. Referred friends will unlock these rewards when they win in the game, and reaching fifty wins unlocks the new Blackpaw skin, an item exclusive to this program. For more details on The Orc Revolution, read up on the update here. Orcs Must Die! Unchained is available for free on Steam or through the game’s official website.